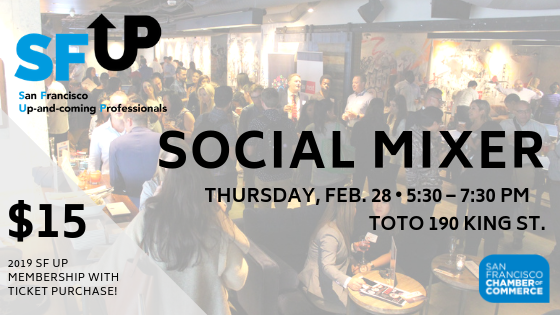 Mix and mingle with other professionals during this 2019 kick-off event and happy hour! Registration for this event includes an SF Up membership for a year! Become a member of SF Up and get access to annual programming, networking, and mentorship opportunities designed for young professionals. We can’t wait to meet you! This comes with a 2019 SF Up Membership!